Nidhi Garg Allen is the founder of Marasim, a Nest Artisan Guild member helping designers around the globe to connect with talented artisans across 29 different states of India. Growing up in Western U.P., a place infamous for Hindu and Muslim tensions and unjust use of muscle power, Nidhi, along with fellow women and girls in her community, was often relegated to the home, where men deemed it safer to be. Surrounding the city of Nidhi’s childhood, are dense, yet often isolated, clusters of muslim villages, once famous for their karigari (craftsmanship). In her adult life as the leader of Marasim, Nidhi and her team ventured into these villages to meet with artisan women about new work opportunities. 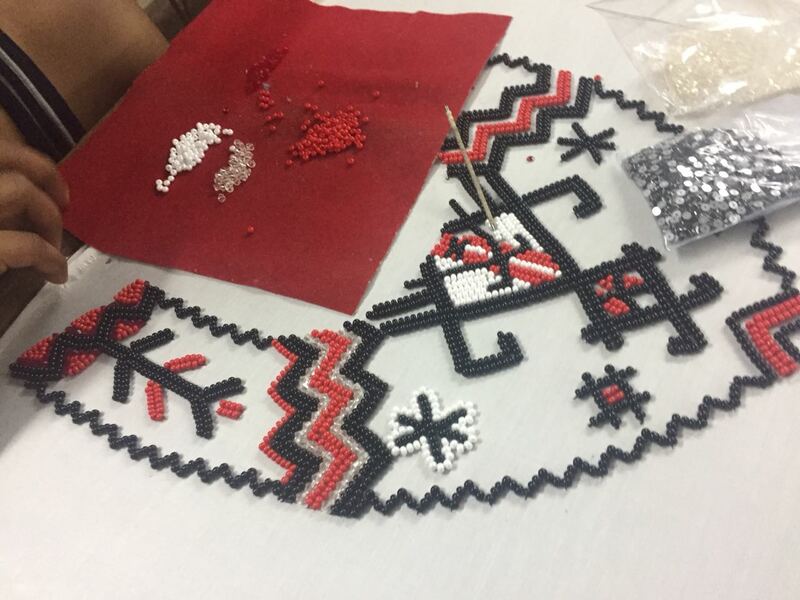 While the women are still rarely allowed to leave the home, craftsmanship is a way for them to realize both creative expression as well as economic livelihood. 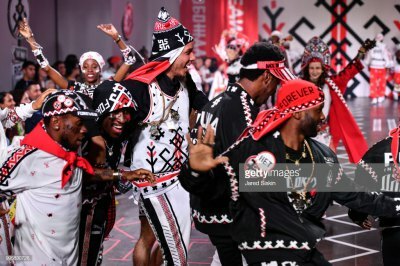 This past month at the vibrant Jahnkoy menswear show, supported by PUMA and CFDA, the rockstar-level hand beadwork created by these women wowed an audience of New York City fashion industry members. The expertise of women from four different Indian villages was brought to life in eight playful items comprising the Jahnkoy Spring 2019 menswear collection, including visors and tasseled neckwear. The show, attended by Nest’s Annie Millican, was a triumph not only for Marasim and the artisan women it employs, but also for Jahnkoy. As an Artisan Advancement Partner, Jahnkoy provides an annual philanthropic contribution to help support Nest’s work to build a new handworker economy connecting craftspeople, brands, and consumers in a circular and human-centric value chain. The brand has worked closely with Nest over the past several months to explore new opportunities to source responsibly from global artisans so as to enrich its collections with heritage techniques from around the world. As part of Nest’s sourcing program, Nest worked alongside Jahnkoy not only to help connect its designers to Marasim, but also to share educational resources on best practices for building successful and sustainable artisan partnerships. As orders are placed for Jahnkoy’s latest collection the coming weeks, Marasim’s artisan cooperatives will receive an income boost through production orders, with the added cache of PUMA and CFDA’s coveted stamp of approval!